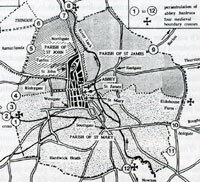 The Abbey of St Edmunds grew up after about 906 when the remains of King Edmund were brought to the old town of Bedericsworth. 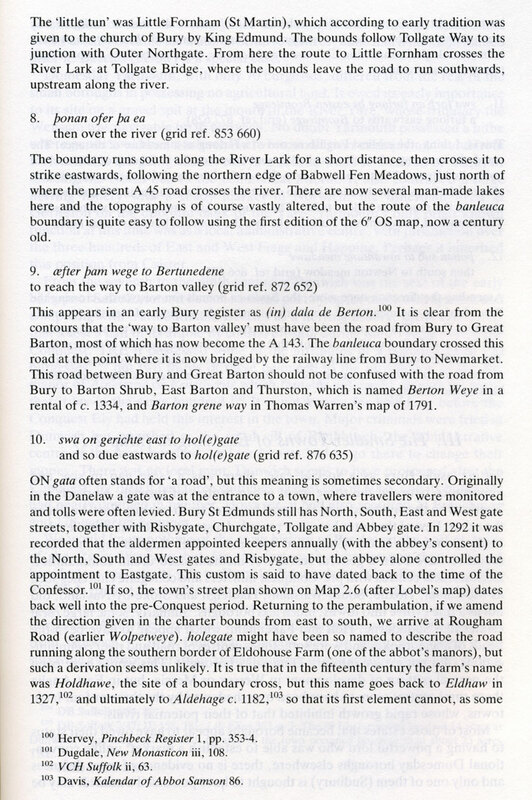 In 945 the crown granted a large area of land to the monastery, which was known as the Banleuca, an area which was still used as the boundary of the Borough of Bury St Edmunds until 1934 when it was slightly enlarged to the west. 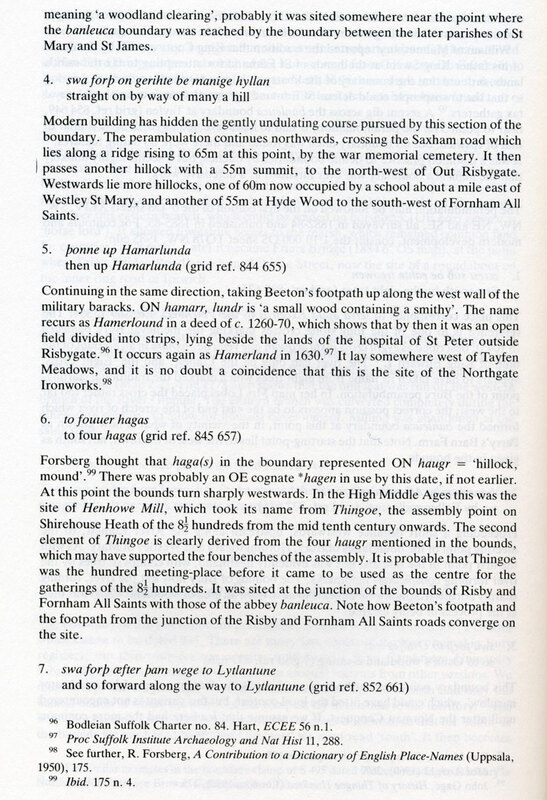 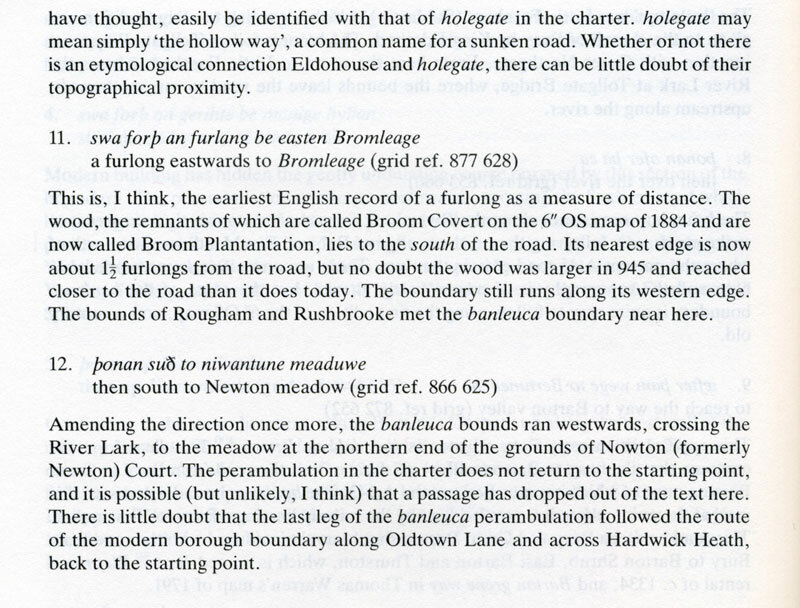 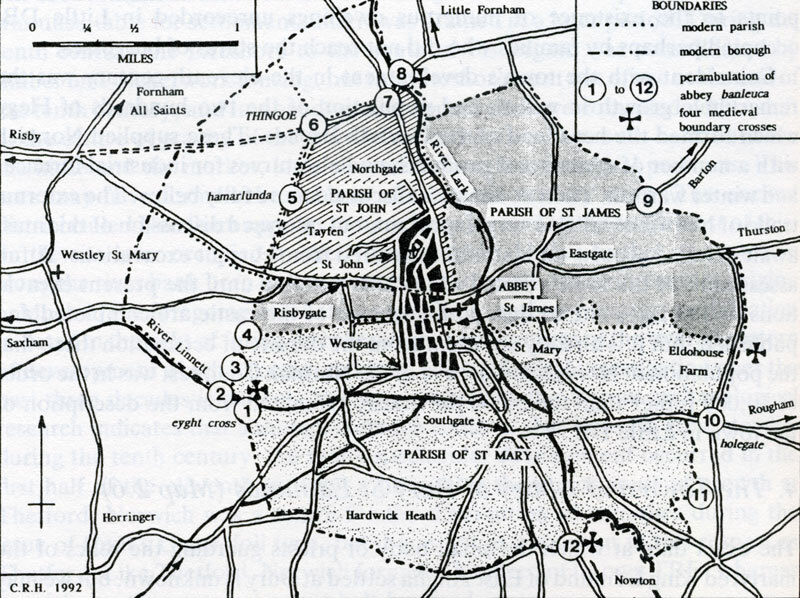 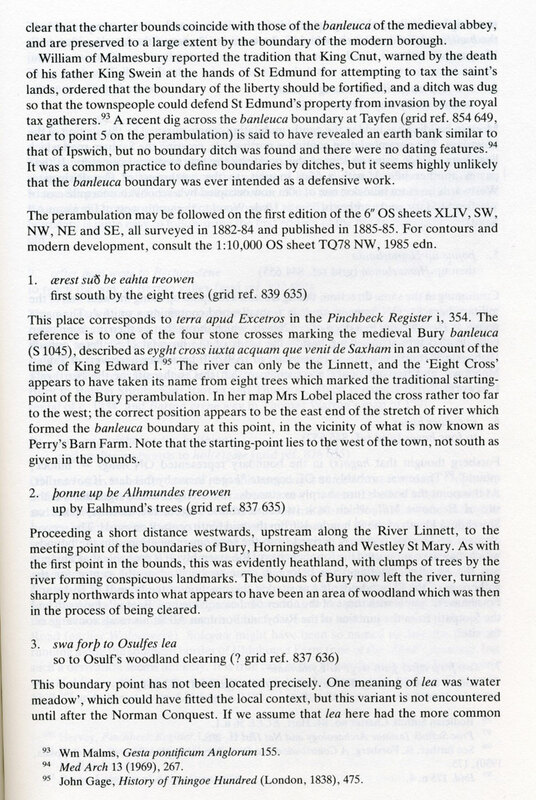 The notes explaining the perambulation of the boundaries of the area of land granted to the Abbey of St Edmund in 945 AD are by Cyril Hart, taken from his monumental work called "The Danelaw", published in 1992, by The Hambledon Press.